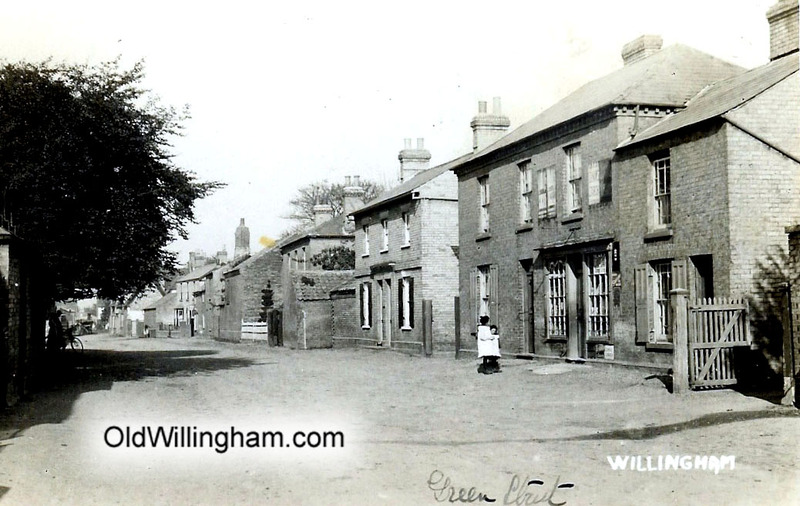 Here is a lovely view of Green St. in about 1910, long before pavements and tarmac on the roads. Many of these building still exist including the shop in the foreground which is now Rainbow Crafts. However, the notable exception is the next building along which was demolished along with the small barn in 2004 to build several new houses. For many years this house was home to Dennis Jeeps, a farmer, who was very well known in the village and who amassed the huge collection of slides on which the OldWillingham.com website is based.